Retro vintage rustic aged distressed metal love story wall plaque Shower a house with love using this love story metal plaque. 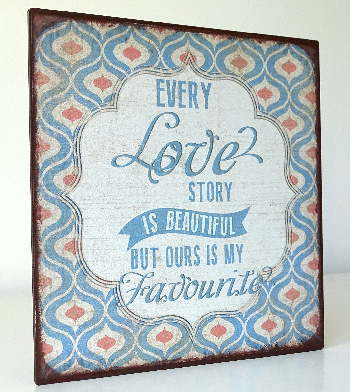 The vintage design and sweet statement is a heart-warming decoration for a happy couple! For more info or to make a purchase at £13.99 please follow this link. Thank you. A great little keepsake storage idea to keep safe all those fabulous wine corks & bottle tops. 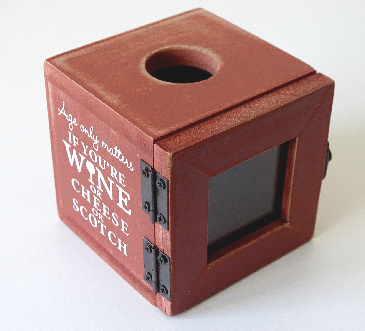 ‘POP!’ them in this quirky little box to remember all the fab times and fine wines. 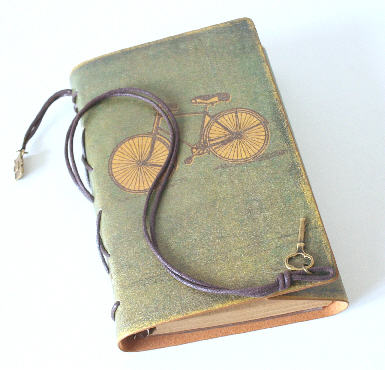 Keepsake memory catcher of all those special times you have shared together. 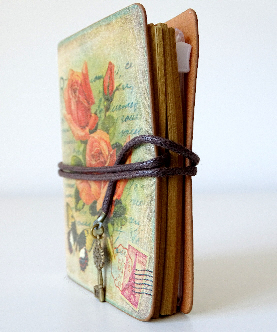 Great little keepsake gift. To view more details of this item or to purchase at £11.99 please follow this link. Thank you. 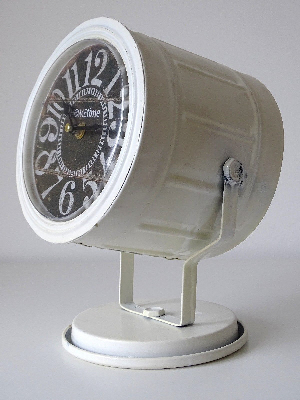 Loft living design search-light movie theme mantel clock in cream/white painted metal finish on a metal stand. For more details or to purchase at £34.99 please follow this link. Thank you. A quirky fun individual set of 4 bicycle coasters in a metal rack. Bottle top vintage design – ceramic resin coasters with a cork base. 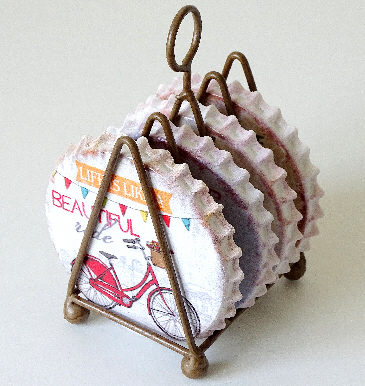 These vintage bicycle bottle top coasters are a quirky decoration to keep the home fresh and stylish and to keep tidy, pop them away neatly using the wire rack. Please follow this link to make your purchase at £19.99 or for more information. Thank you. Add a personal touch to the home with this lovely wooden loft-living multi function coat rack with different shaped picture frames. The multi-coloured hooks add a touch of fun and are perfect for hanging keys or light clothing such as children’s coats and school bags. 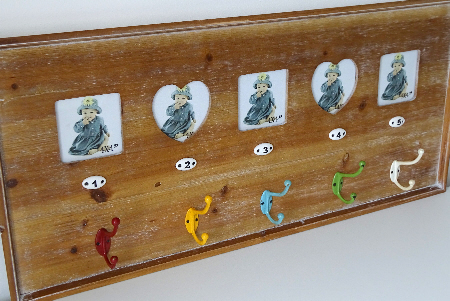 Place a picture of each family member in the frame so they have their own designated hook! A unique gift for the family. To purchase this item for £49.99 please follow this link. Thank you. 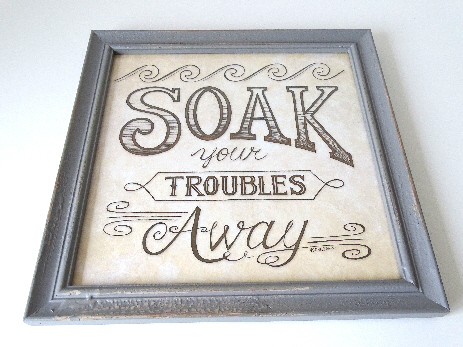 Fabulous vintage distressed Victorian style bathroom soak your troubles away wall sign. Add a gorgeous touch of decorative charm to the bathroom with this delightful ‘soak your troubles away’ sign. Perfect as a reminder to de-stress after a long day. Delightful Bathroom Print. 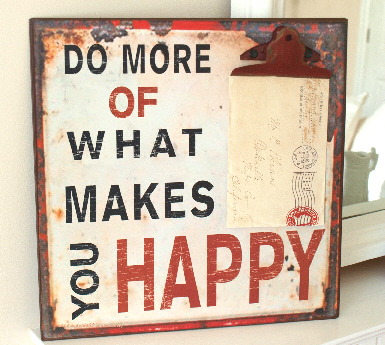 Vintage Style Poster Print Soak Your Troubles Away. Grey Shabby Chic Frame with Glass Inset. Ivory Background with Charcoal Text. Measures 34.5 x 2.5 x 34.5cm approx’. Available to purchase at £24.99 – please follow this link….